Hong Kong Kim Gary Restaurant, Kuala Lumpur, Malaysia. Address: LG – 69 & 70, Lower Ground Floor, Berjaya Times Square, No. 1, Jalan Imbi, Imbi, 55100 Kuala Lumpur, Malaysia. It has been a while since the last time I visited Kim Gary in Mid Valley’s branch. I cannot even remember there is a branch in Berjaya Times Square until my friend said she wanted to have dinner here. I am glad to see the restaurant still offers various set meals which can easily take you a while to choose what you want to eat and how much you want to eat. It did take me a while to look through the menu to decide what I wanted to order for the night and lastly, I chose to have a bowl of noodle, an half of the toast with chicken wing set which included a glass of drink. It seemed a lot, right? I was thinking the noodle would not make me feeling full and the additional of toast and chicken wing made the dinner more completed. It was really sinful to have the toast at night but it has been quite long I did not have toast in Kuala Lumpur. 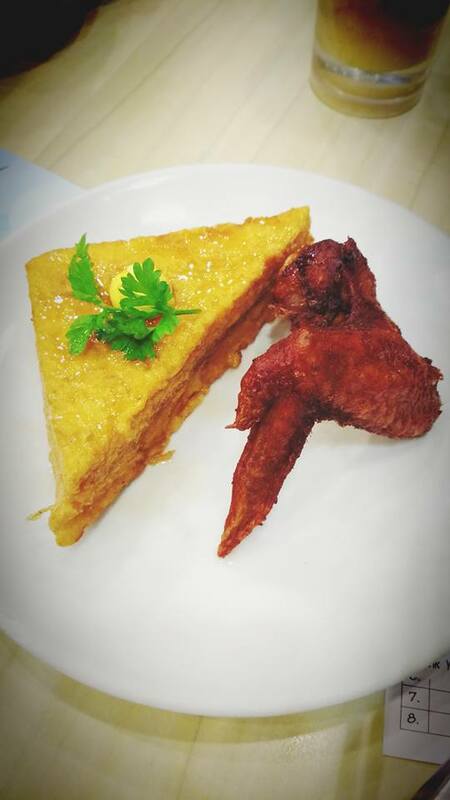 It was nothing special about this toast and chicken wing, it tasted normal and slightly oily as usual for the toast. Besides that, I think they do not use butter, they gave me margarine instead. It did not taste good. No comment about the chicken wing, just a normal chicken wing. Instant noodle with a piece of luncheon meat and a fried egg on top of noodle is the basic for a Hong Kong style instant noodle meal. Sometimes, you can find some vegetable and sometimes, you do not. It is normal instant noodle with MSG soup based and it is nothing interesting about it. I am not sure which instant noodle’s brand they are using. 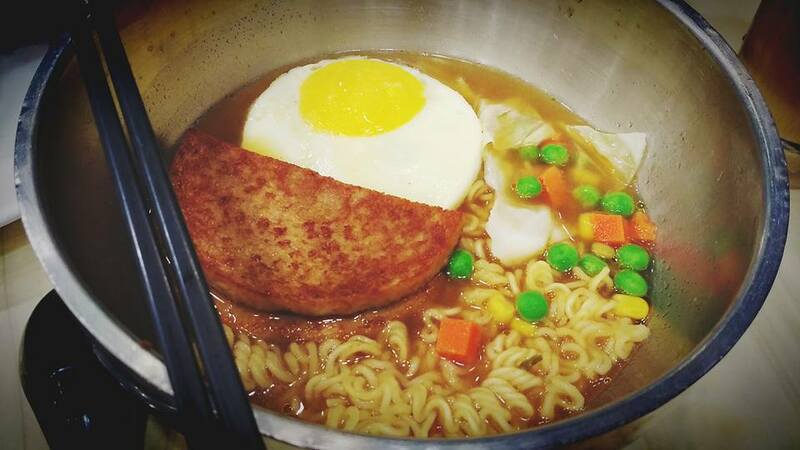 The noodle texture is spring, did not overly cook the egg and luncheon meat. What interested me the most of that dinner was a glass of cold ying yong. 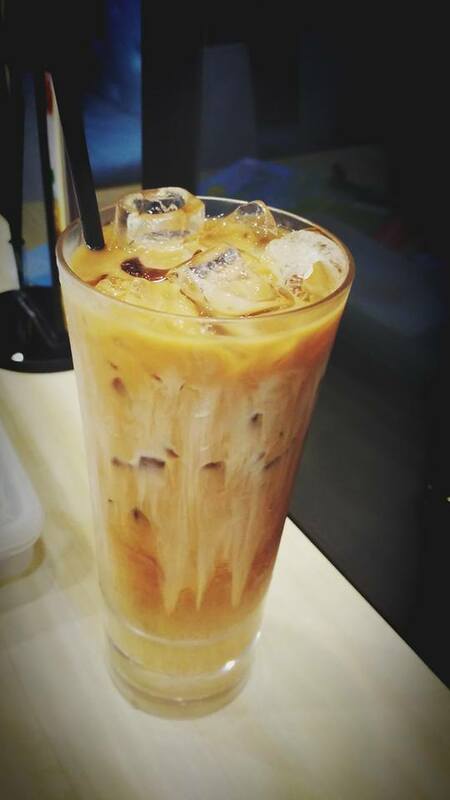 It is a combination of the coffee and tea, one of the favourite drink in Hong Kong too. The ratio of the coffee and tea is important to get the right taste of the ying yong. It was a night full with unhealthy food selection, the toast and instant noodle. Moreover, having the cold drink after the meal is not going to help the digestion at night but it satisfied my stomach!